Whether you are looking to totally remodel your bathroom, or to just mix things up, a frameless glass shower enclosure can go a long way. Frameless glass doors create an elegant look that can show off the tiles in your shower or tub, but their benefits extend beyond aesthetic value. 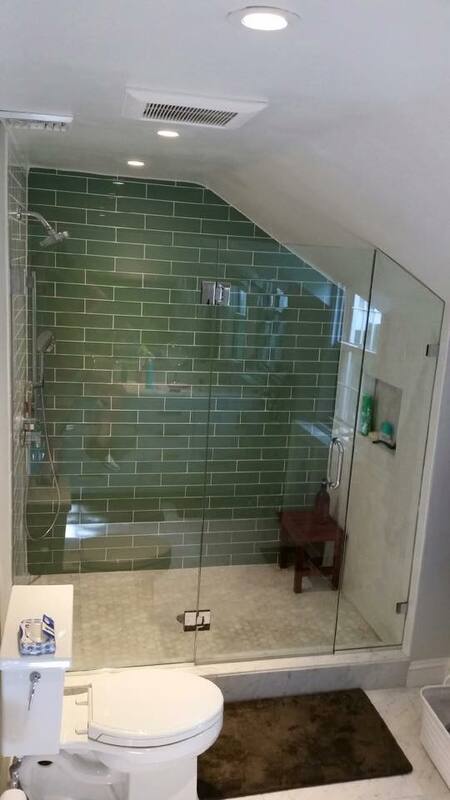 Bryn Mawr Glass has put together this list of the top five benefits to frameless glass shower doors. Since the doors are made of a thicker glass, they are more durable. Our glass doors can be custom-fit so that they work perfectly with your bathroom. There is no risk of rust and corrosion, as there is with metal framed shower doors. Frameless shower doors don't require tracks, which are often the perfect place for mold to develop. They create a sleek look that can make your bathroom look larger and instantly modern. If you're considering going frameless, visit our custom showers page for more information on our service. Additionally, we offer professional cleaning and protectant application for old and new shower doors alike.